egendary science fiction and fantasy writer Tad Williams, author of the “Memory, Sorrow and Thorn”, “Otherland”, “Shadowmarch” and “Bobby Dollar” speculative fiction series, has spent the last two years writing The Heart of What Was Lost and The Witchwood Crown, the first two of five new books set in the same universe as “Memory, Sorrow and Thorn”. 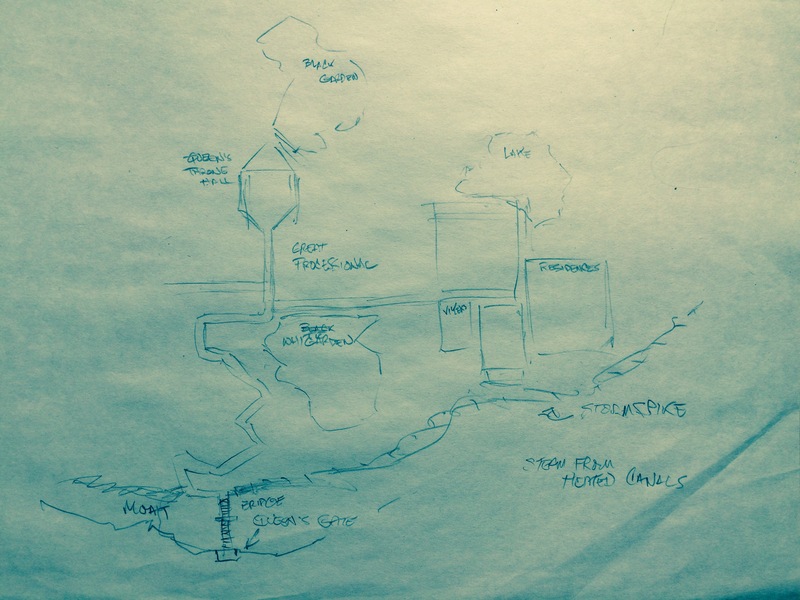 Williams is now releasing some early, provisional sketches that he created during the writing of The Witchwood Crown, which his wife and business partner Deborah Beale kindly shared with us, and which we are now sharing with all readers. The first sketch is a map (right, clickable) of Sturmrspeik, the great mountain of ill repute inhabited by the Norns, embittered relatives of the immortal Sithi. Beneath the great mountain lies the ancient city of Nakkiga, home to Utuk’ku Seyt-Hamahka, Queen of the Norns and Eldest of all living beings in Osten Ard. 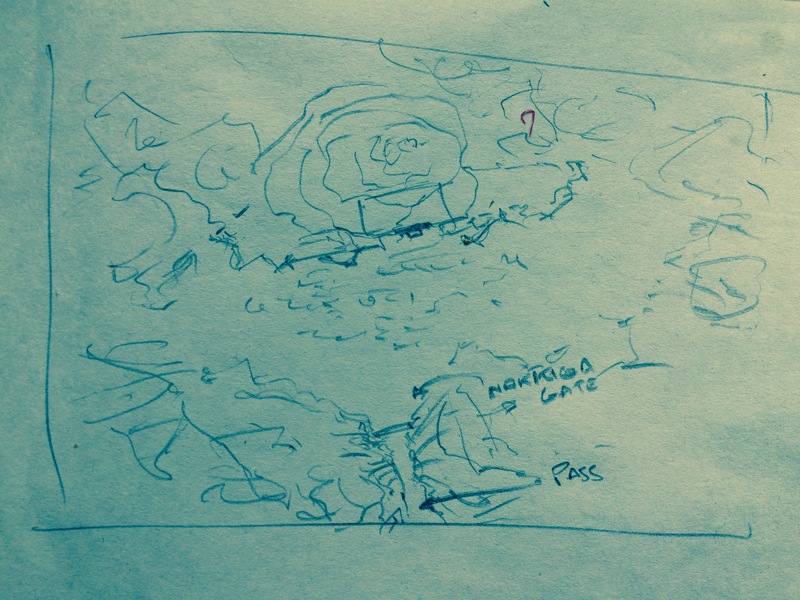 Williams’ rough map shows the location of the mountain itself, with the great Nakkiga Gate guarding the pass. Around these landmarks are the white waste of the Himilfell Mountains, which stretch both eastward and westward from the area. The second map sketch (left, clickable) is also of Sturmrspeik and Nakkiga, showing the locations of several well-known Norn landmarks as well as some which are entirely new. The Queen’s throne room appeared in the classic series, and makes a reappearance in the new map. Among the new landmarks are a Black Garden and a White Garden, as well as a subterranean lake, and an area marked as Great Processional. A bridge over the moat connects Nakkiga’s tunnels with the Queen’s Bridge. We have more maps and diagrams, and will share more soon.